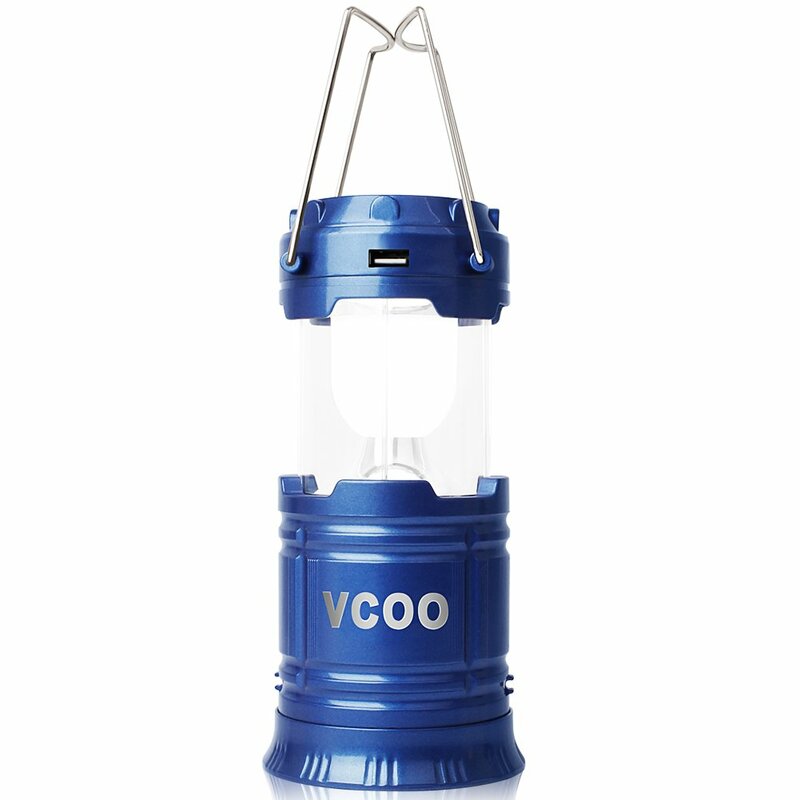 Home › Energy-Efficient LED Lighting › Vcoo Solar Rechargeable Led Camping Lantern With Bottom Flashlight Power Bank..
Vcoo Solar Rechargeable Led Camping Lantern With Bottom Flashlight Power Bank..
ULTRA BRIGHT AND HIGH QUALITY LIGHT: LED light is super bright and white, it is soft on your eyes. 100,000 hours of bulb life. SOLAR CHARGING OR DC CHARING: lantern with solar charging panel and built-in rechargeable 1800mAh battery can save your emergency hassle, It will never left without power even you are in a long time outdoor activities. 2 in 1 EMERGENCY LANTERN: you can use it as a camping lantern by simple pushing up (it is collapsible), or as a regular LED hand held flashlight(at the bottom). APPLICATION: extremely lightweight, collapsible design with water resistant plastic shell, allows you to take your lantern on the go with ease, suitable for indoors & outdoors, hiking, camping, emergencies, backpacking, outages.